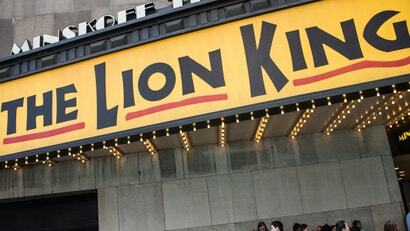 A puppet master who helped bring to life Disney’s vision of an African animal kingdom was arrested last week for allegedly 3D-printing guns in the prop room of the Broadway theatre, court records show. New York Daily News reports that Ilya Vett’s printer was discovered when security officials were helping him clear out his possessions because he was about to lose his job. The officials spotted the 3D printer — and a gun in the making. Theatre staff called police, who arrived and found the printer “powered on, moving and in operation”, making a contraption that was “shaped like a revolver,” according to a criminal complaint written by NYPD Officer James Taylor. The complaint says Vett told police he was making the gun for his brother, who lives upstate and has a firearms licence. Vett said he found the plans online and downloaded them onto an SD card that was found in the printer. Vett reportedly told police the 3D printer belonged to him, but he brought it to the theatre because his workshop was “too dusty”. The debate in the US over 3D-printed firearms heated up this winter after the US Department of Justice settled a years-long lawsuit with 3D-printed gun activist Cody Wilson, allowing him to publish blueprints for 3D-printed guns online through his Texas-based operation. But before he could start publishing plans again, 19 US states and the District of Columbia sued Wilson, leading a federal judge to issue a temporary restraining order against Wilson’s plans. In 2014, a Japanese man, Yoshitomo Imura became the first person to get arrested for owning 3D-printed guns. Arrests related to 3D-printed guns are rare in the US, but last month George Vang in Sacramento County was arrested for possession of a 3D-printed gun. However, the gun was not functional. Vang reportedly told officials it was too difficult to complete, so he gave up.